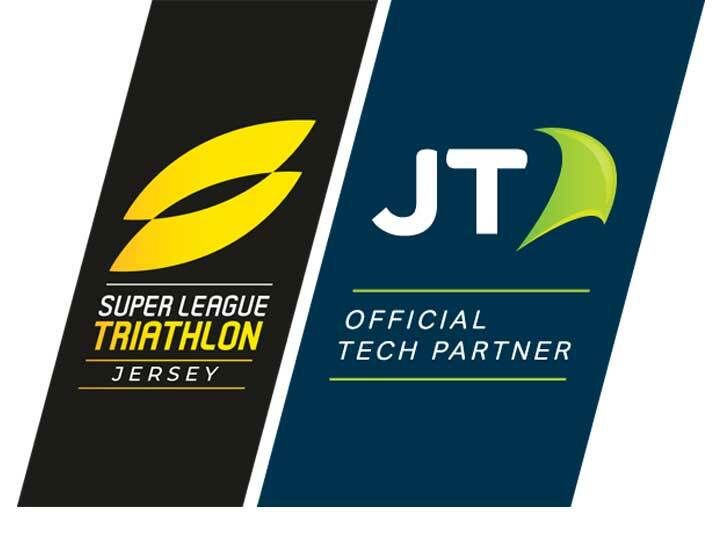 A free ‘Virtual Reality Tech Zone’ – including VR headsets for children, mixed-reality gaming and a triathlon experience that allows you to take on the professionals – will form part of the new JT Fan Zone at next month’s RBC Super League Jersey event. JT – the official Technology Partner of RBC Super League Jersey – is expanding its support this year. They’ve introduced a selection of free for all entertainment, food and games to the world-class event. Team Gravity, a virtual reality eSports team which JT also sponsors – will run the new JT Tech Zone. Having just returned from competing in the VR League World Finals in San Jose, they bring another world class experience to the weekend of fun and sport. The JT Fan Zone will be based above the Waterfront car park over the weekend of 28 – 30 September. It will also include a stage packed with Jersey talent playing free music throughout the week, healthy food served by local caterers and an activity-filled Kids Zone. Tim McGuinness, founder of Team Gravity and Virtex Studios, a company which is the leading provider of Virtual and Augmented Reality services in the Channel Islands, said: “We’re really excited about sharing the possibilities of VR in the JT Tech Zone. I’m looking forward to the community getting involved. Graeme Millar, Chief Executive Officer of JT, said: “We are looking forward to the RBC Super League Jersey event for its second year. We are proud to provide and support them with world-class technology to power this important event for our island. It’s also the ideal place to celebrate the Island reaching 100% of broadband customers now connected to our full-fibre network. So, it’s fitting that we offer islanders a taste of what is now possible thanks to our network. Team Gravity is providing that, giving an exciting addition to what already promises to be an entertaining weekend of sport, music and fun for the whole family. To find out more about what’s happening in the JT Fan Zone, visit our jtglobal.com/superleague. Super League Triathlon (SLT) is the pinnacle of the sport on the world’s stage. It delivers game-changing formats and mixes up long and short course athletes. In a series of fast-paced events with unpredictable outcomes this culminates in the crowning of the best and most versatile male and female triathletes in the world. Over the course of the season, the top 50 (25 male and 25 female) triathletes from around the world battle it out for the crown. The title of the best all-round triathlete. There are three means by which these 50 top athletes qualify for the Championship Series. These are equally split between male and female competitors. Firstly, automatic qualification from the previous SLT season (20 places). Secondly, a wildcard qualification (10 places at one given time). And finally ‘Golden Ticket’ success at the SLT Qualifiers in Poznan and Penticton (20 places). Pros from all over the world can race to be in with a chance to qualify for the main Championship events. The league travels to some of the world’s most spectacular racing destinations throughout the season. Poznan (29 June-01 July) (Q)*, Penticton (17-19 August) (Q), Jersey (29-30 September) (C)**, Malta (27-28 October) , Mallorca (3-4 November) (C), Singapore (23-24 February 2019) and Australia (23-24 March 2019) (C). With highly addictive content, sports fans across the globe will have unprecedented access to the races. Also they will be treated to behind the scenes content and memorable fan experiences. Whether watching from home or at one of the awe-inspiring SLT locations, the rivalries and battles for the top spots will leave fans thoroughly entertained from start to finish. Super League Triathlon races are focused on attracting a new generation of audiences. It aims to foster and inspire future champions, promoting a healthy lifestyle for the wider community. To find out more about Super League Triathlon, visit superleaguetriathlon.com. Tim McGuinness is the founder and CEO of Virtex Studios, a local start-up specialising in virtual and augmented reality services. Currently based at 18-20 Dumaresq Street, the company is focused on utilising these new technologies. They encourage growth and development across many sectors. Click here for more information about Team Gravity and here for more information about Virtex Studios.